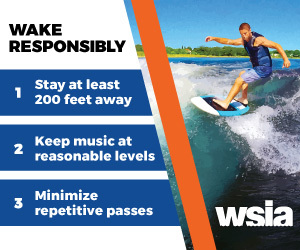 The Water Sports Alert Network: a communications platform designed to help inform and organize the water sports industry and community for protecting the sports we love. This network distributes alerts about various legislative challenges in water sports at the national, state and city levels so that local support can be generated quickly. These alerts are sent out on Facebook, Twitter and on the WSIA page for WSAN alerts.